Here's a handy little tool for every household. It's the 9 pc. precision screwdriver set. This handy pen style bit holder stores securely and conveniently in any pocket with the included pen clip. Its vanadium steel construction is treated for strength. The Pocket Driver comes in a sharp blue with chrome details. Put it to the test; this scredriver set is ready for any job you throw at it! I already had one of these and bought this for my son. Its a very handy tool and I use it all the time. I am pleased with the pricing point and the potential use for this handy tool. Certainly it is not practical for large scale jobs, but will be useful as a portable device to complete small tasks. GREAT - JUST THE SIZE I NEEDED TO KEEP IN THE HOUSE. Great, it does minor job. Perfect set for those tiny screws on glasses that seem to get loose all the time. I buy a couple of these at a time and give them away. Nobody says they cannot use it. They are pleased with it, as I am with mine. I use this item daily in my business of model making for film & industry. I love this little pen/screwdriver. 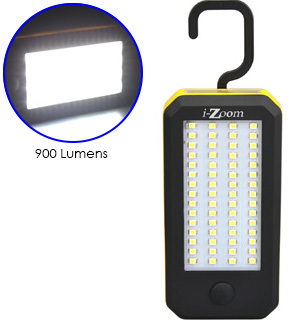 It is so convenient and great for small jobs. Can take it on-the-go, too. 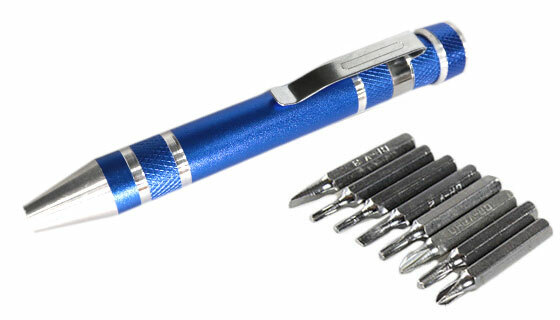 My purchase of several of the 8 in 1 Precision Screwdriver Tool Set Pens was to give one to relatives who can use it. It was an excellent buy and was appreciated by those who received it. 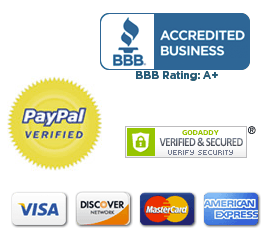 Totally Awesome, and at very reasonable rates!Fully satisfied! 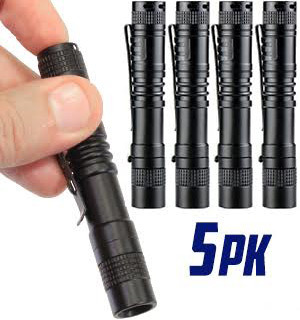 This is a great way to carry the very small screw drivers. You can fix your glasses or anything else that has very small screws quickly and easily without losing anything. Great for emergency repairs! But screwdriver bits are small for most screws. The very day that this arrived I was able to use it! The variety of bits and its compact size not to mention the great price make it a must-have tool! These are well made bits for light repair work. Very handy. These make great stocking stuffers and everyone that I have given these to love them. I keep one in my car, in my kitchen, and in my den. Its amazing how many times I have had occasion to use this screwdriver, and I didnt have to go out to the garage to get my tools. A very convenient item. Very high quality and I cannot believe the price. Great for stocking stuffers. Keep one in the car one in my desk keep one with batteries. Ive passed out this multi-tool to many friends and all are delighted in our ever decreasing world of micro-ination. Todays commonplace was yesterdays watchmakers world. This is a great little tool. I keep it in my purse and Ive used it on the go a couple of times. Everyone who knows me knows I like little gadgets. And this one works great! This little tool is great to have around. 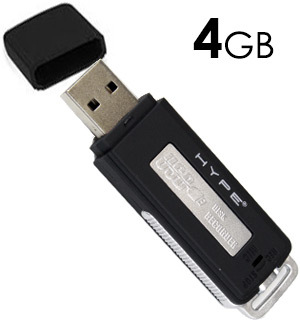 Its small enough to carry in your purse, your pocket, keep in your car, or at work. Keep one in each spot. The price is amazing! I recently purchased about 40 of these sets. I give them out to my friends and because I am a UBER driver, I give these out to passengers who are friendly and talkative. They are not only â€˜surprised but thankful, one gentleman immediately used it to fix his glasses. THANK YOU PULSE!! Works as described. Do not try to over tighten screws as bit head may strip. Im always looking forward to seeing the items that PULSETV.com post on the internet. If I had a lot of money I would be buying a lot from you. The prices are very affordable and interesting. Very convenient and useful. I like that it clips to your pocket like a pen. I already have used it on many occasions. I love this little compact screwdriver set. I give them as party favors at my get togethers or use them in door prize baskets such as my hurricane readiness baskets. I think every car console should have one of these. great for all the little jobs that the big drivers dont fit. my lady friends love them for their purse or the console or glove box in their car. Very compact and lightweight. Comfortable grip. All the bits fit easily into the handle. Useful to have on hand for those small jobs. Good to have one in every location. Quite compact and organized, will not loose tips with ingenious storage pocket. Plus shirt pocket clipable for handy availability. Always seem to need a few different large and small screw drivers, pliers, and a hammer in the kitchen tool drawer. This is a great addition for those small items that always seem to have a tag that says unscrew here to activate or insert batteries. I got these so everyone has one. Easy to put in purse, backpack or pocket. Definitely recommend, you never know when it will come in handy. I already have one. But wanted another one. They are awesome. Handy Tool For On The Go! Purchased one for each my sons vehicles and turned out to be really handy. One used for tightening screw on sunglasses. The other used on his skateboard. Gave 4 stars due to a little struggle on fitting the attachment pieces inside the storage handle. Over all, a handy tool for on the go! This set is handy if you want to carry in a large purse or pocket! There are 2 sizes of bits,too, so double handy! The 8 in 1 screwdriver set is very handy. 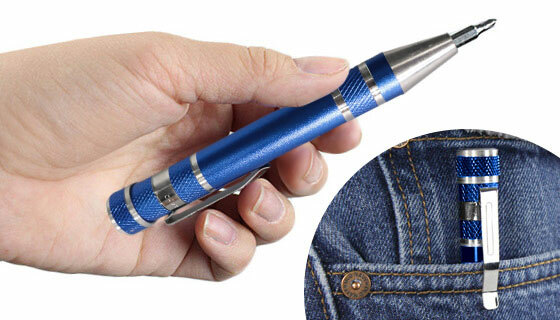 About the size of a pen, its small enough to carry in a pocket or a purse for all those times when you need to fix a loose screw and just dont have the right tool on you. And the price is great for the convenience. I bought one for myself and one for my boyfriend. Great product! I guess there is nothing wrong with this little tool as long as you are not expecting a true precision set. I say this because the screw tip sizes are not very small. For instance you will not be able to tighten your eyeglasses, or work with the smaller screw sizes often used in electronics. the screw tips are simply too large for precision use. Great little tool, very handy to have around. I love that it is compact and light, so always in my purse for those times you just need a screwdriver. Pulse TV products are always quite amazing. I did purchase the precision screwdriver and really was very surprised at the quality also at the multi thing that you can do with it. Very efficient and conveniently portable, its so lightweight its either in my purse or in my pocket. It feels great to know that Ill never have to look for, or be without a handy tool like this ever again. This is so helpful. If glasses have a pin loose I can tighten them anywhere I am. Need to fix a loose screw, this will work. So small and light weight. Love this pen with screwdrivers hidden side. ...far sooner than I expected. I wanted to get the discs out of a hard drive and otherwise didnt have the right screwdriver bits. Nice little item. AT LAST!! No more hunting up something small enough for a particular project Im on at any given time. This tool has been perfect! Kudos to the designer. We have several younger family members and are always looking for useful gift ideas for Christmas, Birthdays and other special occasions. 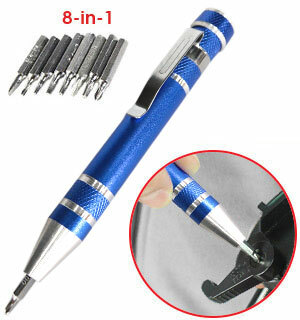 The 8 In 1 Precision Screwdriver Tool Set Pen Style is a quality candidate for this purpose. Thumbs up to Pulse TV and their choice of products. Very handy. Keep one with me all the time. Highly recommended as a convenience tool. There are times when a regular screwdriver is just too big, this smaller screwdriver and all of the assorted bits are great for those smaller screws. Small and very handy ! Purchased at least three of these tool pen style sets. My grandson really likes how convenient and uses it has. Small enough to easily carry without the bulk. Great set for your eyeglasses and micro screws. Handy to have around. We bought several to use as stocking stuffers. The only issue is that the heads are all loose, so you have to dump them all to locate the one you need. Very convienient. Great for small electrical equipment. The pen style tool set has come in handy. 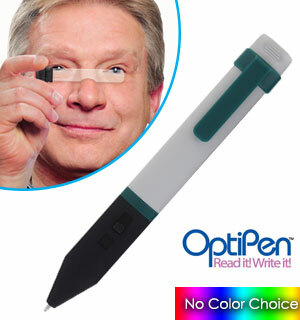 Its the size of a pen and can be used for those situations calling for an extra small screw driver head. I bought several and gave away the extra ones as gifts. Found to be a convenient tool to have available for use. Easily stores in my computer carrying case. when i have a cook out, bday party or casual dinner party i always have a little party type favor for my friends. these fit right into my valentine party favor bags along with the chocolates etc. i get a lot of my little gifts for this and door prizes because they are inexpensive and fun, and my friends just love what i come up with.for may meetings i make up hurricane door prizes, i make gift baskets up with several of the flashlights, batteries,ponchos and other lights offered here with other things needed for a storm. great items and affordable. I have had several sets of small drivers. This is the most convenient and versatile of all of them. I cannot comment on durability yet. My friend saw an ad in the newspaper for the same product priced at $69.00. Its a great tool. I use it often. I have been able to fix my smaller electronics devices and eye glasses with this tool. This was such an excellent value for money that I gave 8 of them to my friends. Purchased for future give-aways! The bits are ALL much smaller than expected.....Although not planned or expected for carpentry or automotive use...had planned for possible use in firearm maintenance....they appear too small for this purpose. The only problem was there was 1 straight large slot bit & no smaller straight bit.There was 2 of the same size smaller star bits instead. Otherwise on the whole a great little tool. So handy AND so easy to carry in your purse! Great little tool, sturdy and easy to manage. I got 5 of these and gave them to family/friends. Everyone loves it; I am keeping mine in my glove compartment of my car for emergencies, always needing a little tool and dont have one!! I bought these to include in a goody bag that I hand out at an upcoming reunion. As such, I have not used the unit myself, but did give it a through check when it arrived and I am pleased with the quality of the devices and would recommend it to anyone that asks. 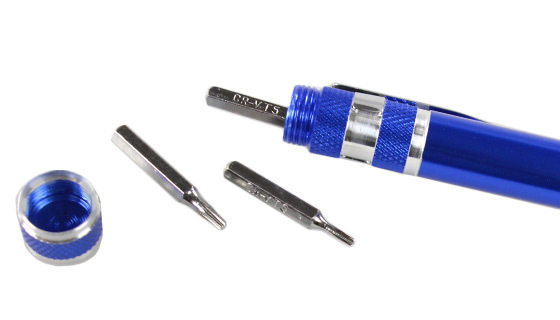 This mini-screwdriver is high quality, handy, and a great buy. At this price, I bought 10 of them and gave them to my teammates at work. They have all commented how handy it is to have nearby for repairs to those small items like eyeglasses. I also used it to tighten the hinge screws on one of my multitools. All the bits store in the handle for quick deployment. Buy multiples, you wont be disappointed. Good for fishing,small repairs,eye glasses,small jobs around the house or work place. Is a good product for a person working on a Model or something electronic. Has no value in the Automotive world. If you do buy order several or the freight on just one exceeds the value of the product. I bought 135 gave away as a freebie thank you to customers. Finally a tool that allows you to work on items with smaller srews !! Great for toys. Convient to carry. Recommend. good product to have on hand. Great little screw driver. Had one before and had about worn it out so I was glad to see these and bought three of them. Wish I had bought more they make great gifts. I fly RC airplanes and this screwdriver is the perfect size for all the small screws, etc. Wish I had purchased more when clearance sale was on, but they are still a bargain at this price. Im ordering 2 for gifts.